This entry was posted in Uncategorized and tagged book clubs, books, diversity, fiction, pleasure reading, Reading Promotion by Kate Hammond. Bookmark the permalink. 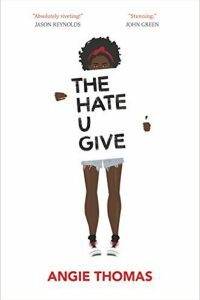 We read The Hate U Give as our all-school summer read this year and will have Thomas on campus in a few weeks to follow up and discuss. Students responded particularly well to the book. That’s good to hear – thanks! I bet that will be a great author visit. All American Boys by Jason Reynolds and Brendan Kiely is another great book dealing with interactions between police and young black men, told from the perspective of a brutalized black teen and a white teen who witnesses the incident. This one might speak more to males. I too would like to see a follow up post. Our middle school book club is pretty strong but I’ve also been hesitant about even trying one with the upper schoolers as they have so much going on. I love the overall idea you’ve given your club concerning diversity.